We get it -- pets are part of the family and you hate to leave them behind. No worries, you'll find comfort knowing that your dog is always welcome with The Garland's dog-friendly accommodations. 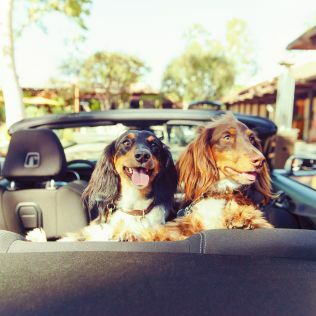 You'll find a whole list of amenities tailored expressly for your four-legged friend. Around The Garland check out the scenic hiking trails such as Fryman Canyon or Runyon Canyon, which has a dog friendly off leash policy. During your stay we have a $75 non-refundable weekly dog fee which is limited to one dog per guest room up to 40 lbs (20 kgs). Must register dog to receive amenities listed above. Your dog must be leashed when it's in the hotel or on hotel property unless in your guest room or designated dog area. Please pick up after your dog's waste and dispose of it properly.